African dwarf frogs are an extremely interesting tank mate to accompany your betta. They are unlike any other tank mate. Probably because they have legs and lungs. Cohabitation is fairly common between bettas and African dwarf frogs, however, it’s important to remember that cohabitation depends on the temperament of your betta and the dwarf frogs. 7 How Many Gallons Of Water Are Needed? 9 Can Dwarf Frogs Jump Out Of The Tank? 10 Can African Dwarf Frogs Live Alone? 11 What To Do If Your Betta And Frog Are Fighting? The only time that you may notice an ADF (African dwarf frog) being aggressive is when they are being fed. When feeding your African dwarf frog you need to make sure that no fish are eating it’s food as well. If this happens they may become extremely aggressive and try to attack any fish (including a betta) that gets too close. The real problem is that ADF’s are incredibly slow eaters. It’s not uncommon for African dwarf frogs to go hungry when there are other fish in the tank. Especially when you have a betta which are notorious for eating no matter how full they are. And because of this the food they eat is going to vary over bettas. While bettas can eat anything such as live food or pellets, you need to make sure that you feed your frog pellets that sink to the bottom of the tank. As occasional treats you should also add frozen food such as frozen brine shrimp and blood worms. Once again these will sink to the bottom of the tank where your frogs can eat them. Hopefully, your betta won’t eat the your African dwarf frogs food. Bettas have upturned mouths so it’s not very common for them to eat food off the bottom of the tank. However, if you notice that your betta or any other fish are doing so, then there are ways you can make sure your frog gets enough food. The best thing you can do is catch your betta in a net until the food you’ve added to the tank sinks to the bottom. This way your betta is much less likely to go after the food. You can also try scattering your bettas food down one end of the tank while placing your frogs sinking food at the other end. This way your betta should be distracted long enough to miss your frog’s food. One of the first things you should look at when considering whether two separate species can live in your aquarium together is if they can survive in the same temperature and pH. You might find a fish you absolutely love only to realize it can’t be housed in the same tank. African dwarf frogs need a temperature between 75-80°F and a pH level of 7 or as neutral as possible. And bettas are very similar. The only difference is that bettas prefer a temperature of 78°F. African dwarf frogs spend the vast majority of their life underwater, but they still need to come up for air because they have lungs, not gills. Because of this combined with the fact that African dwarf frogs aren’t the strongest swimmers you have to make sure your tank isn’t so high they struggle to reach the top. It’s not uncommon for people to come home and see a perfectly healthy frog has died in their tank because it was too high. The first thing you need to ensure is that your tank isn’t taller than 12 inches. This is the maximum distance your dwarf frog should need to swim from floor to surface. If your tank is taller than 12 inches don’t worry. You can add an extra inch or two of substrate to the tank to lower the distance. In fact, I’d recommend adding enough substrate to ensure there are only 9-10 inches of distance between the floor and surface. How Many Gallons Of Water Are Needed? African dwarf frogs need a minimum of 1 gallon per frog, however, more is better. 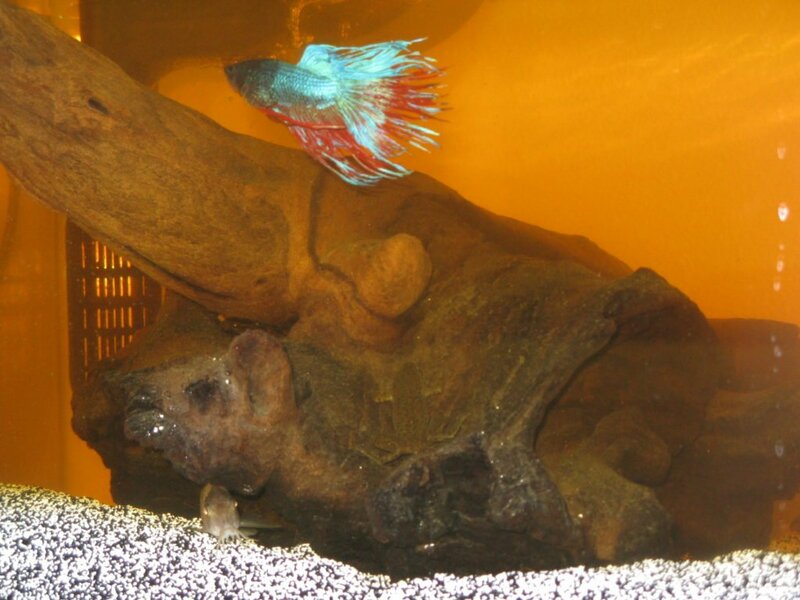 And because you’re going to be housing your frogs with a betta I wouldn’t recommend having anything smaller than a 10 gallon tank (Check out the 4 best 10 gallon tanks if you don’t have one already). But for the maximum happiness, 20 gallons is going to be a lot better. The benefit of a 10 gallon tank over a 20-gallon tank is that it’s much easier to fit in your home. In the wild African dwarf frog are normally prey to other animals. It’s important to remember this when setting your tank up to cater for the frogs and your betta. Just like bettas, they prefer shallow water. Bettas like river basins and rice paddies whereas African dwarf frogs prefer shallow rivers, creeks, and ponds. Both environments are very similar and can be reimagined in your tank. To make your tank feel at home for your betta and dwarf frog you should make sure there are enough plants. Your betta and frogs will feel safe among the plants reducing their stress. You should also place lots of hiding places in the tank. Some of which purposely near the bottom for your frog to hide in. You should also find floating leaves and other things near the top of the tank for your frog to sit on if it wants too. But if you do this make sure there’s no way your frog can jump out of the tank. Can Dwarf Frogs Jump Out Of The Tank? If left alone without a proper lid your dwarf frog could definitely jump out of the tank. And if they’re not caught early enough they will surely die. Because African dwarf frogs can’t last more than 20 minutes outside of a tank before they start dehydrating and dying. In the wild, this wouldn’t be an issue because if they jump out they can just as easily get back in. But if you’re frog goes over the side of your aquarium, then it’s game over. If your aquarium has any openings then you need to make sure you cover them completely. Even something as simple as putting a heavy book over the top of them can do the trick. It may not look as nice but it’s going to keep your frog alive. Can African Dwarf Frogs Live Alone? Obviously, a dwarf frog would not be alone if there was a betta in the tank. But it’s not going to get the social requirements it needs. You should always have a minimum of two dwarf frogs in a tank. This makes sure they’re not going to get lonely or bored. And remember dwarf frogs need a minimum of a gallon each, but you should never put them in a tank smaller than 10 gallons. In a 10 tank gallon tank, both they and your betta are going to have enough room to swim freely. What To Do If Your Betta And Frog Are Fighting? Unfortunately, sometimes your pets just aren’t going to get along. No matter how good the conditions are and the amount of space they have they just can’t live with each other. If this is the case there are a few solutions. If your betta is the one causing the problem then you should move him to another tank. Doing this is going to reduce the stress for him and the frogs. If you have a quarantine tank this could make a temporary home. The good thing about having two tanks is that you can introduce different species into the friendlier tank. If you don’t want to buy a whole new fish tank, you can buy a tank divider. Personally, I wouldn’t get a tank divider on a tank smaller than 10 gallons, because if you do that then your betta and frogs won’t have enough room. Tank dividers are very inexpensive and you can buy a whole range of them on Amazon! And if you don’t have any other choice then you should try taking your dwarf frogs back to the shop. However, it’s important to note that once animals have left a shop, some owners won’t take them back. You should check what your local aquatic store’s policy is on this beforehand. If they don’t want your frog then the only other option is to give it to a friend. 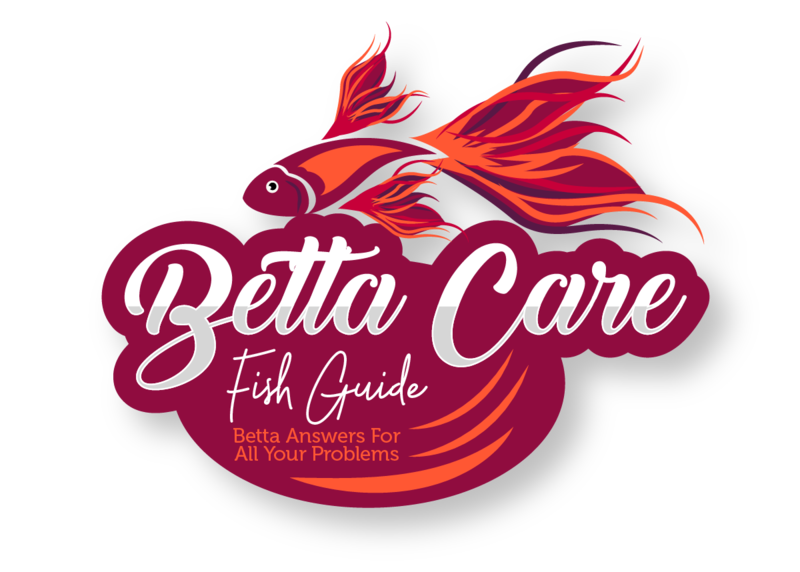 The best way to gauge whether your betta will be aggressive is to know how he reacts to other fish. If you’ve put fish in your tank in the past and he’s been fine with them, then there’s a good chance he’ll accept your dwarf frogs as well. You could also try establishing the tank with your frogs first, and introduce your betta later on. This way he’s less likely to think the whole tank is his territory and may only pick a smaller portion. But of course, remember, even if your betta has been fine with other fish in the past, you can never be certain that they’ll be fine with any animal in their tank. After all, they’re animals that prefer isolation. When you add dwarf frogs and bettas together you should check on them more often to make sure they’re not fighting each other. You should always make sure that your dwarf frog is getting enough food. Bettas are extremely gutty and will eat all the food possible if they can. If you see your dwarf frogs food sinking to the substrate the chances are the frogs will eat it and not your bettas. If it is bigger you should add an inch or two of substrate to thin the gap. African dwarf frogs need a minimum of 1 gallon per frog. But if you’re housing them with a betta you should have a tank no smaller than 10 gallons. African dwarf frogs are prey animals so make sure you add lots of hiding places to your tank. Your betta will love this too. Make sure your tank is completely covered or your frog may jump out. African dwarf frogs are social animals. Even though your betta is in the tank you should still never have less than 2 frogs. If your dwarf frogs and betta are fighting then the only thing you can do is move one of them out of the tank. Remember, if you found this article helps make sure you share it and bookmark it as well. If you have any more questions then you can leave them in the comments below! Platies And Bettas: Platies are livebearers that can make excellent tank mates for bettas. Find out how you can look after them and how to handle their fry! Guppies And Bettas: You’ve probably heard that you can’t place guppies with bettas. Well, you should be told you can’t place male guppies with bettas. But you can do something else instead! Tetras And Bettas: There are so many different types of tetra to choose from. But you need to know what ones will live peacefully with your betta and what ones won’t.